ScottWhitbyStudio has been tasked with the transformation of this precious piece of open space on historic Cheapside. We are doing this by giving it a sense of identity that builds upon its heritage. 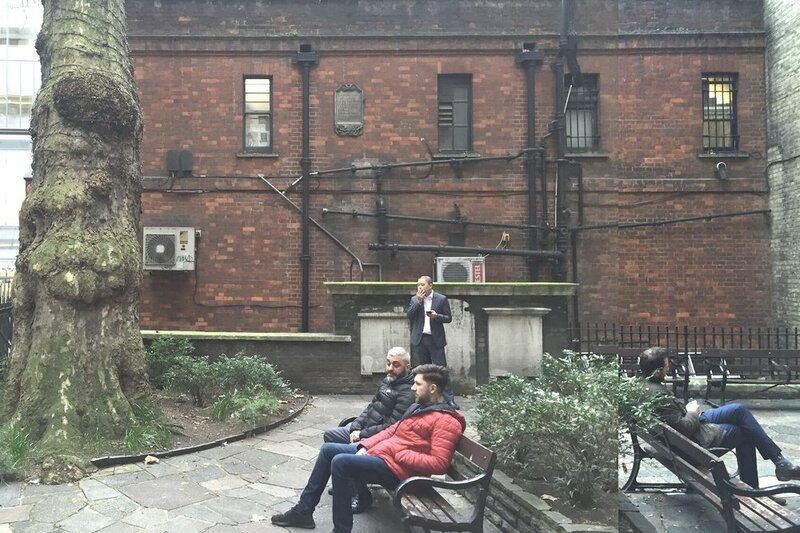 The untidy and unwelcoming public courtyard was surrounded by blank facades and used only by smokers. A single mature plane tree stood forlornly. The Studio proposed adding a choir stall pergola alluding to the former church to soften the perimeter and screen the blank facades. Within the courtyard, carefully selected paving, seating and planting would create a welcoming functional space for visitors to linger in. This project is part of a series of townscape improvements for the City of London.